Congo tetra is a most beautiful tetra fish with a iridescent coloration and beautifully shaped tail. 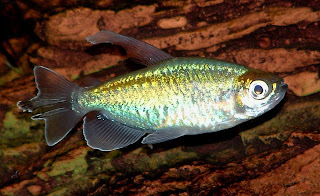 Congo tetra is a peaceful schooling fish for planted and community aquariums. 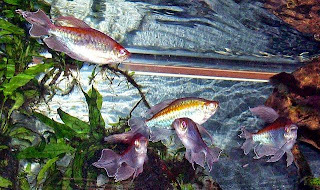 To reduce the stress keep them in large heavily planted aquarium / Aquarium with lot of drift wood with subdued lighting. And they should be kept in groups of more than 6 per group. 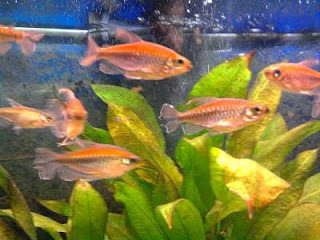 Like other tetra fish Congo tetra fish prefer slightly acidic water for optimum health conditions. If the water quality is maintained and treated with live food, they will spawn easily. 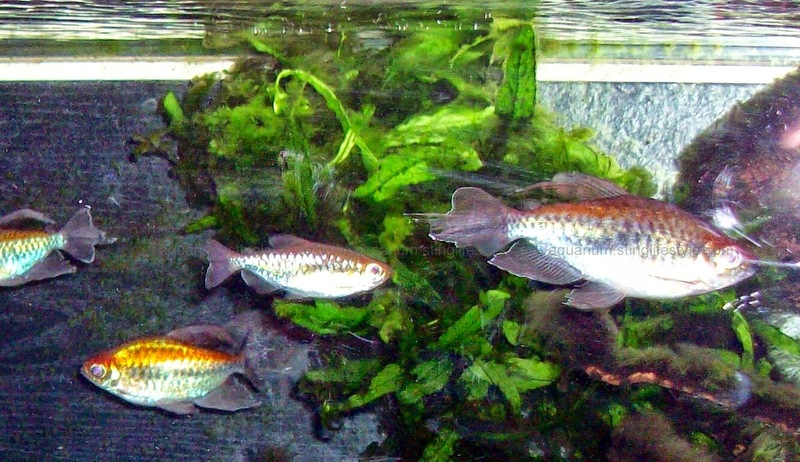 Males are slim and have long fins. Mature healthy females have round belly. Difficult, with school of fish with more females . 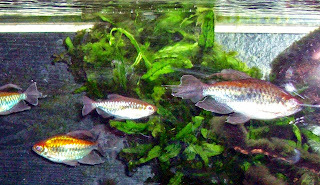 They spawn on the substrate or on spawning mob . They scatter eggs in the bottom and if not separated they will eat their own eggs. Eggs will hatch within 24 – 30 hours.